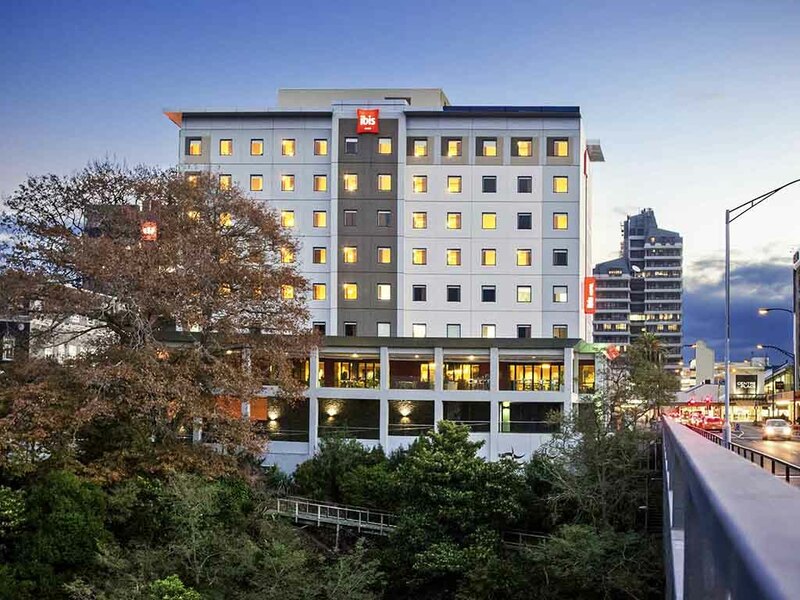 Just minutes from bustling Hamilton city, ibis Hamilton Tainui is situated right on the banks of the Waikato River, and is just a 5-minute stroll from local attractions including the SkyCity Hamilton casino, and Waikato Museum. An ideal base for your holiday, and only 20-minutes from Hamilton Airport, you'll be within an easy drive of Hamilton Gardens and Hamilton Zoo, and just an hour's drive from the region's incredible Waitomo Glowworm Caves and Hobbiton movie set. The new dinner menu is an improvement. I wouldn't have eaten there if it was still the same. When a drink was not what I expected it to be, it was replaced with what I wanted, and this was much appreciated. Easy check in/out. Clean comfortable room with very comfy beds. I was very grateful for the late check out, after my morning appointment was delayed to the afternoon. Thank you. We enjoyed our stay. Your receptionist was great and gave us a free upgrade, which was appreciated. Loved the ocean views and beautiful furnishings. The location was perfect right across from the beach. We would stay again. Everything is there...or not far away (I used the recreation facilities at the Novotel). Really nice and easy - The warm air was not working (or I couldn't work it out) however that was no big deal as there was an extra blanket. The bed was great and we slept well. Unfortunately our breakfast was lukewarm at best, and the scrambled eggs were cold. Your staff were courteous and helpful. Wouldn't hesitate to stay again but would go out for breakfast. River veiw through a 1 metre by 1 meter window , is not worth the price I paid. For $192 , with no complimetry parking, no complimentry wirless internet access, poor TV slection that wasn't working properly ans small shower, no complimentary breakfast. Not worht the cost. Happy with the room, was kindly upgraded to river view room. Reception staff were great and helpful. Location was great. Breakfast was average, no greeting on arrival, not enough tables set up, so sat with dirty dishes on table Was not told of good coffee available until i saw someone else get offered one. too late for me..Cockroach on cup ( however this was an outside table) eggs ran out, so had to inform staff, honey from pot not a good idea ( was very sticky and messy) I guess we had recently come from a hotel in Auckland and was treated really well. Free water bottles were provided in other hotels we have stayed in, and feel this is a great idea, otherwise drinking water has to come from the tap in the bathroom, and is fine for teas etc, but tastes bad for drinking. Parking could be a bit cheaper. However, other than the breakfast situation, was pretty happy, but as you require feed back, i would rather say these things, so improvements can be made. Room was clean and tidy. Key card did not work one night but was resolved quickly by reception staff. I had dinner at the hotel 2 nights and it was really nice and staff were very helpful. Good location and helpful staff on check out. Generally great. The dinner menu was quite expensive and the portions small. Pleasant, convenient and had everything one expected. Kia ora Helen. Really great to have had you with us and to learn that you enjoyed your time at Our Place. That stained glass probably took the shine away, apologies here and a learning for my team being more vigilant. We hope to see you again. Have a great Easter weekend. Ngā mihi nui | Warm regards Niraj Kumar Hotel Manager. Room was clean and tidy, dinner very good. Only issue was on the second night my TV alarm and clock radio both came on at 1.26am - I hadn't set these, I had turned the clock alarm off an don't know how to set the TV one and it didn't come on the first night. Great location fantastic views. great town to visit, friendly and welcoming to visitors. Friendly and helpful staff. Room reasonably proportioned, bed comfortable and great addition of blackout blinds. Would look forward to staying there again. Vehicle access limited , although taff very helpfull. Kia ora Stephen We're so pleased to have had you with us and to know that you thoroughly enjoyed your stay. Please come and see us again soon. Have a fantastic Easter weekend. Ngā mihi nui | Warm regards Niraj Kumar Hotel Manager. I had an enjoyable stay. The fridge was noisy so I turned it off and slept well. We Really enjoy staying at the Ibis because of its locality but disappointed this time. We were out all day in meetings and returned after 1600 to find our room had not been serviced. All we wanted to do was have a quiet cup of tea and were not able to do this. The House attendant was most apologetic and stated she has been rushed of her feet.